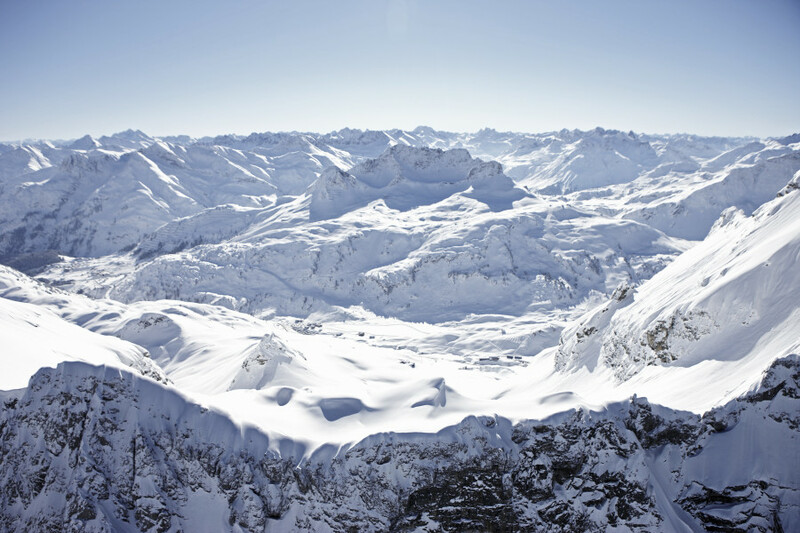 Elevated between 4265 ft and 9222 ft, the Ski Resort is among the 3 highest elevated Ski Resorts in Vorarlberg. The vertical drop from summit to base is 4957 ft. The average difference in altitude between base and summit of Ski Resorts in Austria is 2388 ft. Most runs are therefore relatively long. 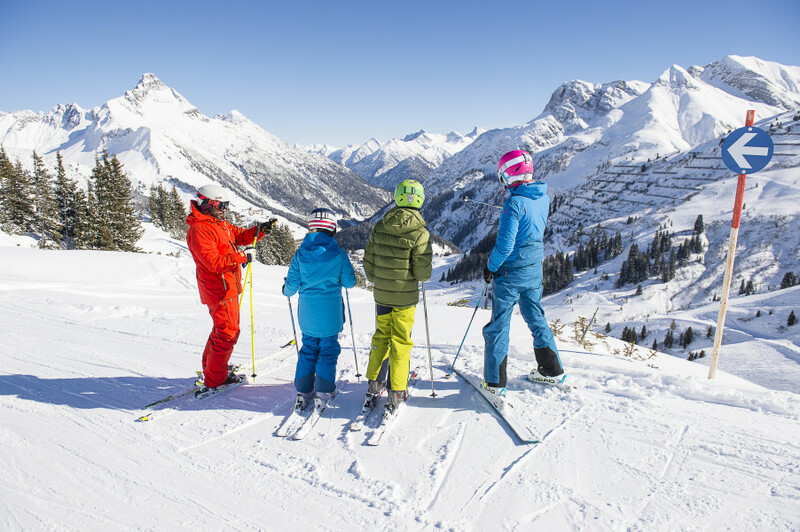 Warth Schröcken (Ski Arlberg) is among the 3 best rated Ski Resorts in Austria. Average snow depth during the season (Dec 7 to Apr 22) is 69 " at summit elevation and 59 " at base elevation. Snow coverage is usually best during March, offering an average snow depth of 88 " at summit elevation and 76 " at the base. Therefore Warth Schröcken (Ski Arlberg) is among the 5 ski Resorts with best snow conditions in Vorarlberg. Warth Schröcken (Ski Arlberg) features 66 sunny days on average per season. The average for all ski Resorts in Austria is 62 sunny days. February is the sunniest month with an average of 19 sunny days. 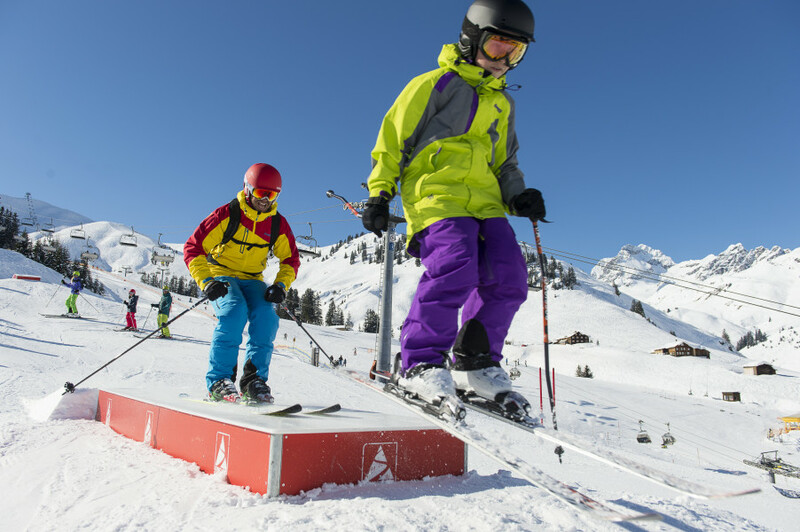 Offering 190 miles of slopes and terrain, Warth Schröcken (Ski Arlberg) is among the 3 largest Ski Resorts in Austria. © Warth-Schröcken A blast for the young and the old: the skimovie run. If there is one thing Warth-Schröcken ski resort doesn't lack, it's snow: with an average of 36 feet of fresh snow per year, it is one of the snow-safest resorts in Europe. Far into springtime, it boasts perfect conditions to carve through the snow. Added snowmaking guarantees 100% of snow safety. 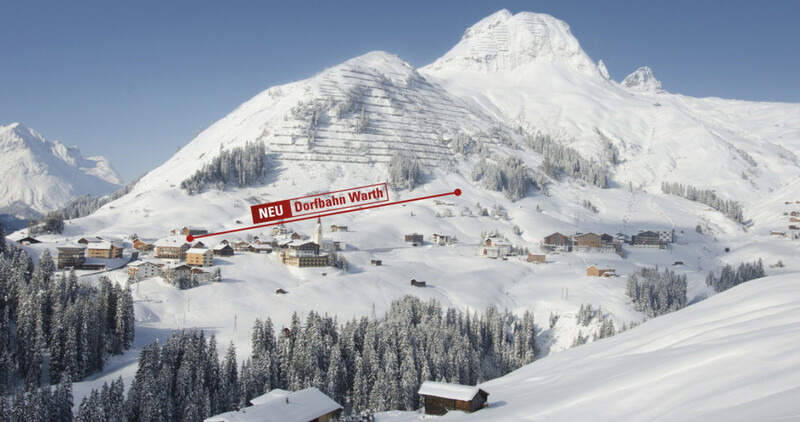 A new 8-person gondola installed in 2017 makes access to the slopes from Warth as well as Schröcken even easier. Warth-Schröcken is part of the largest ski area in Austria: Ski Arlberg. Skiers can hop on Auenfeldjet to get to Lech, and right onto Stuben and St. Anton from there. With only one lift ticket you get access to a total of 305 kilometres (approx. 190 miles) of slopes. Within Ski Arlberg, Warth-Schröcken is a bit of a hidden gem for families and athletic skiers. 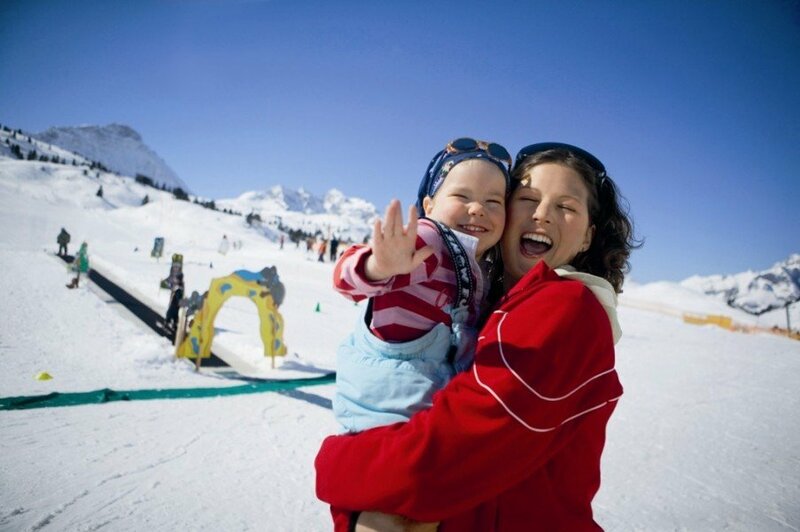 There are many blue runs, several ski schools, and Pauli's Ski Arena for kids right by Salober valley station. Ambitious skiers should try the black runs around Saloberjet. "Gamssprung" or "Flühli" are true challenges even for experts. Thanks to the large amount of natural snow, Warth-Schröcken is a true back-country paradise. The area between Steffisalp-Express, Jägeralp-Express, and Saloberjet provides perfect powder pleasure. One of the nicest routes is Pfarrer-Müller-Tour, going from Warth over Lech to Schröcken. 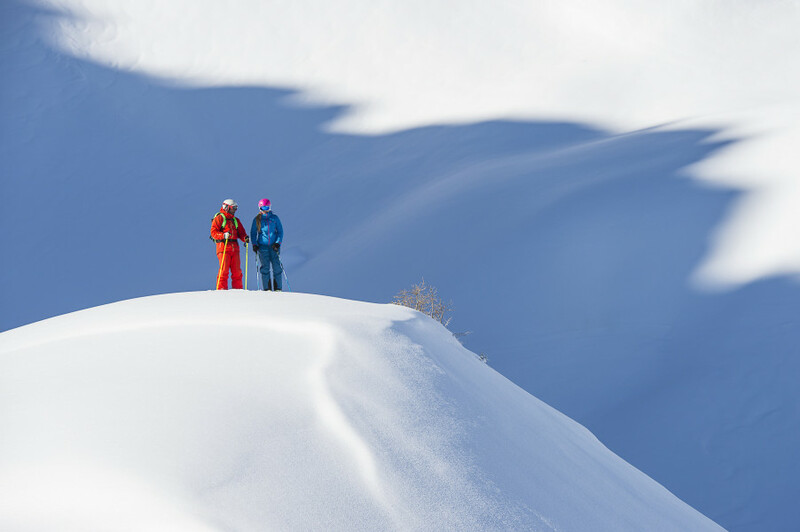 Free workshops with local guides give you all the information needed to guarantee a safe backcountry adventure. Freestylers can go wild at Funslope. There are features for all skill levels. Snowboarders will enjoy Stanton Park. Another highlight is the skimovie run, where a video camera automatically films your run down the slope. You can later watch it online. For exciting competitions, try the parallel giant slalom. Another option is Salober race track. If you just want to see how fast you're going, w10 run at Kuchl lift features a speed check. © Warth-Schröcken Dining options are abound. When hunger strikes, don't be alarmed: Warth Schröcken features a variety of dining options. At Gasthof Steffisalp you get regional food while you enjoy the sun on the terrace. Pre-booked gourmet menus and traditional fondue are also available. Skihütte Steffisalp, right by Steffisalp Express, features an umbrella bar. Get comfortable for some sunbathing while you enjoy your lunch, or come back in the afternoon for après-ski. Saloberkopf's self-service restaurant features everything from hearty meals to smaller snacks and sweets. Sun terraces and umbrella bars can be found here as well. Punschhütte next to Wartherhorn Express doesn't only serve hot alcoholic beverages, but also features delicious strudel, cakes, and hearty meals. Its great view is matched by Skihütte Hochalp's panorama, where you get local specialities. © Warth-Schröcken At one of the snow-safest ski resorts in the Alps, back-country skiers truly get their money's worth. Besides Salober race track, the valley run w6 to Nesslegg-Schröcken is another highlight. At 4 kilometres (approx. 2.5 miles) length it is the resort's longest run. The easy to intermediate slope is doable for skiers of lower skill levels as well. Looking for a challenge? Try Salober Northface: three black runs (w1, w2, w3) where you will meet your edge.The 1,100 metres (3,600 ft) long w3 "Ochsakopf" features gradients of up to 70%. The heated six-person chair Saloberjet takes you for a comfortable ride back up the mountain. Other popular runs at Ski Arlberg are the circuits "Der weiße Ring" at Lech/Zürs and "Tannbergrunde" at Warth-Schröcken. 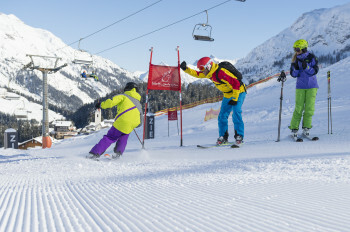 Thanks to the connection to St. Anton, experienced skiers can now also enjoy the "Run of Fame". The circuit extends over 65 kilometres (40 miles) with a vertical drop of almost 60,000 feet. You should plan a whole day if you want to ski it all the way. You can start the circuit at many places around the resort; just look for the info points. © Warth-Schröcken Family fun at Märchenland Salober and Pauli's Kinderland. Warth-Schröcken has a lot in store off-piste as well. For a relaxing outdoor experience, go on a guided snowshoeing tour or check out the local cross-country tracks. A very different way of discovering the surrounding nature is ice climbing. A number of ice falls at the Warth-Schröcken region can be explored, also within beginners' tours. If you'd rather just look at the icicles, visit the icicle cave at Nesslegg. Looking for some fun and action? Not only kids enjoy the 700 metre (2,300 feet) lighted toboggan run to the edge of Warth. 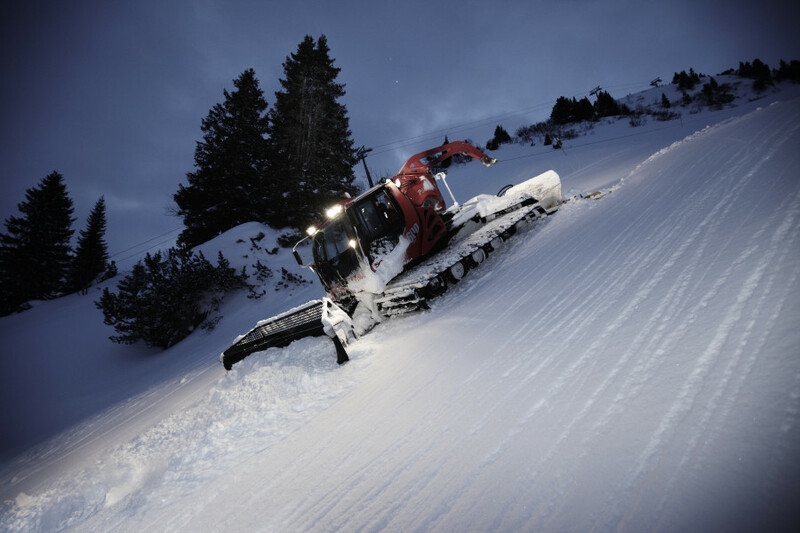 The run is groomed daily and can be used free of charge. Another special highlight: a Flying Fox Park Safari in Schröcken. Belted up, you race down on a steel rope, along the snowy trees and canyons. Warth Schröcken features some nice après-ski. The party starts at Skihütte Steffisalp every day from 3 pm. Furthermore, Ski & Concert live music events take place here every Saturday during peak season. Another great party spot is S1 Ski Lounge. Well-known après-ski hits and exuberant atmosphere make for a great night. At Warth you can end your day at S'Finale umbrella bar. Right next to Jägeralpe valley station, après bar Sennkuchi awaits the skiers. If the weather is good, you can even go out to an open air bar. Warth and Schröcken offer a culinary variety with restaurants featuring everything from traditional to international cuisine. Family hotel Jägeralpe's Jäger's Stub'n spoils its guests with regional food and delicious home-made pizza. Healthy, hearty meals can be found at Hotel Walserberg. It features great vegetarian and vegan options. Hotel Tannberg is the place to be if you like game: they shoot their own meat, and use it for traditional recipes. © Warth Schröcken Parking is available right by the base stations at Warth and Schröcken. Coming from the north west, the best way to get to the resort is via A7 to Memmingen, and onto A96 until Lindau, then over Dornbirn, Bödele and Bezau to Schröcken and Warth. If you fome from the north east, take B17 (over Füssen) or B23 (over Garmisch-P.) towards Reutte (Austria), and later change onto B198 to Warth and Schröcken. The closest train stations are at Dornbirn, Bregenz and Reutte (Tyrol). From there, busses take you straight to the ski resort. On-site, a ski bus gets you to the lifts. For holders of a valid lift pass, the bus is free of charge. I come there since my youth and still like it because of the variety and good ski schools in schrocken.